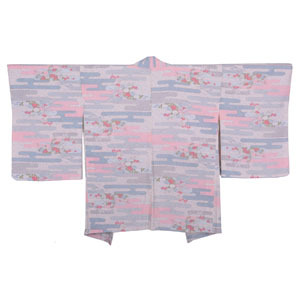 The Japanese Flowers Haori is a lovely secondhand jacket which could be worn as part of a casual or formal outfit. Excellent condition but please note small stains/blemishes may be present. Please note this haori does not come with himo strings. Tacking used to keep garment seams neat during periods of storage, are present - simply remove when ready to use.